Adela is a 35-year-old sewer from Busila village, Ungheni region in Moldova. She is married. Adela is the mother of 2 boys, 16 years old and 3 years old. Her husband, Nicolae, is a shoemaker. Adela has been working as a sewer for 10 years for different companies. Now she want to start her own business. 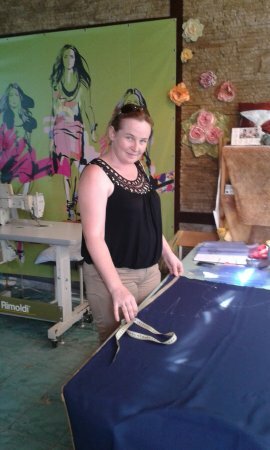 For this start-up, Adela needs a sewing machine for curtains. Motivated and hardworking, she wants to be self reliable and to fulfill her dreams. Adela will use this loan to purchase a sewing machine for curtains. Congratulations to Adela in Moldova!